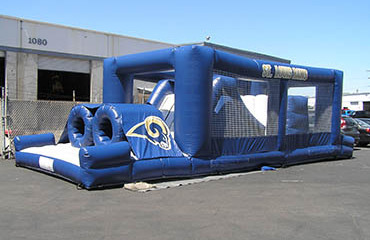 Inflatable Team can take your team, school, or logo to the next level and turn it into a one of a kind obstacle course inflatable. 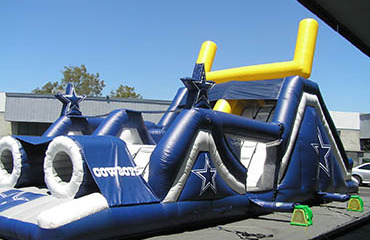 This inflatable will leave a lasting impression on your fans, students, or clients. 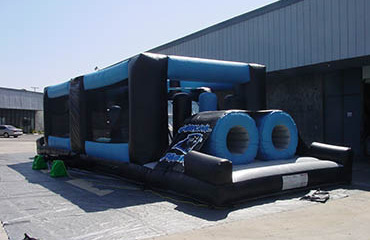 These games are ranging up to 35’ long obstacle courses that put your competitiveness to the test. 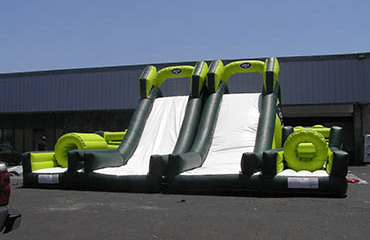 These obstacles have their participant’s line up to race and swerve through barrels, climb to the top and slide down to the bottom and squeeze through inflatable pillars just to mention only a couple of tasks that need to be completed to make it to the finish line to be the winner.